I got the best living situation in the house which I appreciated very much but also thought I didn’t deserve my ‘family’ treating me so well. My daily job is to teach English to the kids in the village and helped my host-family grandma do some farming job. I enjoy very much the time living there. I got the chance to feel the nature and experience this life that I will remember for the rest of my life. During the ‘hard’ but happy time, my Spanish improved from zero foundation to be able to understand daily conversation. I was also introduced the traditional crafting in Ecuador. I’m a world traveler and a culture lover and I have been to a lot countries during the recent years. But Ecuador is my second hometown where I find my soul, experience the real humanity regardless of language obstacles and cultural barriers. I loved this experience and I will be back again. 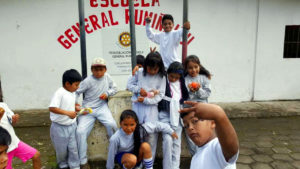 Find the volunteer program to volunteer teaching English in Ecuador here. 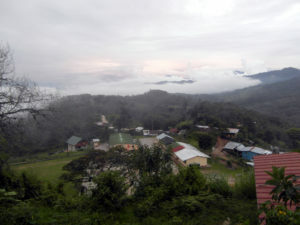 You can learn about more volunteer programs in Ecuador here.